How to Enable OTG Support on Android mobiles that Does not have an OTG Support without root . 1 How to Enable OTG Support on Android mobiles that Does not have an OTG Support without root . 1.1 How to Add Otg support to Any Android Phone without Root . 1.1.1 How to Enable OTG Support for Android Mobiles . Do you want to Enable OTG Cable support in your android device ? And want to connect otg cable to any android device ? if yes the you are at right place . Today we are here with the guide on How to Enable USb OTG Cable connection on Any android smartphone . OTG also known as ” ON THE GO ” is basically a feature with which you can connect Pen drive to android phone using OTG support feature . Many Smartphones already come with OTG Support enabled by default but some smartphone’s need to enable OTG support in Android Phone manually . 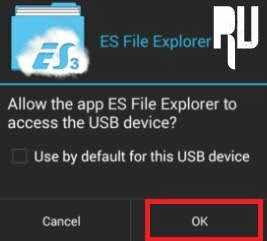 So in this guide we will tell you Ways to Enable OTG feature in any android smartphone without root . How to Add Otg support to Any Android Phone without Root . Initially OTG support is a based on Capable hardware and it has nothing to do with Software but still there are many smartphones that have capabilities of Having otg support but it is not enabled by the manufacturer so we can use some trick to Add OTG support on any android device without root . What is OTG Support in Android Mobiles ? OTG support also Known as ON THE GO support is a feature in android smartphones that allow to connect Usb pendrive, Printers, Mouse and almost every usb device to your android smartphone .Related : How to Enable Volte Calling on Any android smartphone . Do all android smartphones support USB Otg ? No , OTG support was first used in 2001 and since then many companies are using this feature in their android smartphones . Many smartphones came with Otg capable hardware but the feature is disabled by companies so in that case we need to Activate OTG support manually . Is it Possible to Add OTG support to Android mobile without root ? 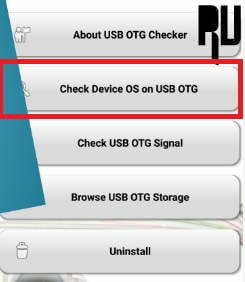 Yes you can enable OTG support on Non rooted android device , But as already mentioned earlier that OTG support for android mobile depends upon Hardware So in this guide will work only for the smartphones which have OTG supported Hardware .Related : How to Make android touch screen More responsive without root . In many smartphones you can also add otg support in kernel but it is a bit of very complicated procedure to make kernel support otg . So in this guide of How to enable otg support for android mobiles we will tell you different ways which are easy . How to Enable OTG Support for Android Mobiles . 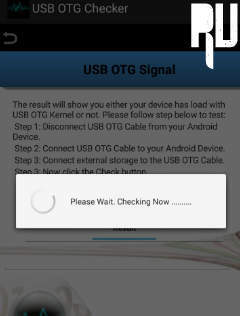 First of all Download USB OTG support checker app from playstore . Now you have to Check if your smartphone supports OTG or not . Now the Process will start and you will get a message ” Checking ” . After sometime you will get A notification saying ” Your device supports OTG support ” . Now when you have confirmed that your android mobile support otg then you can proceed further . The stock file manager given in the android smartphones doesn’t support otg and therefore users think that their smartphone doesn’t support Otg . So to Use OTG in a non rooted smartphone you can use Es file explorer . First of all Download Es File explorer from Playstore . Now connect the USB otg cable with the device attached you want to connect to android . Now Insert the OTG cable in Charging port . Now Open Es file explorer . As soon as you tap on Yes the es file explorer will show you usb Storage folder . Just open the folder and you will get all files and folder . Thats all !!! You have successfully Enabled OTG support in android mobile . Use Otg in any android mobile with root . 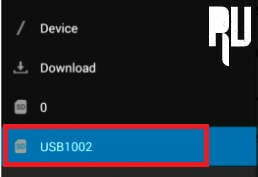 Rooted users can simply use a App named USB OTG Helper all you need is just download the App and open it . After opening you have to connect your OTG cable and the device will enable otg support in rooted mobile . So this was our guide on How to Enable OTG support on Android Mobile without root . I hope this guide Helped you .